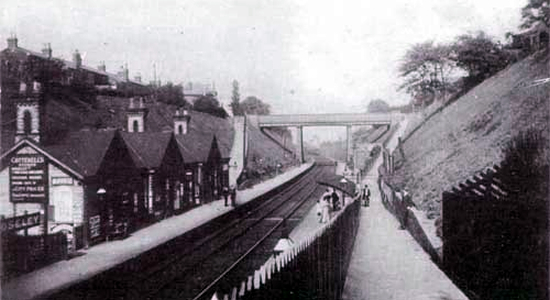 Moseley Station opened by the Midland Railway on the Camp Hill line in 1867 and closed in 1941. There was, however, a previously named Moseley Station on the same line which changed its name to Kings Heath when this station opened! The Station was built in a deep cutting with trains from the south emerging from a tunnel which was built following objections from the nearby St Mary's Church regarding the spoiling of the landscape, noise, etc . . . ! The above postcard image shows Moseley Station in 1908 looking towards Woodbridge Road. Above-left is a present-day photograph of the old station site looking down from Woodbridge Road which, if you refer to the photograph at the top of this page, is the bridge at the end of the platforms: the bridge being originally wooden hence the name. 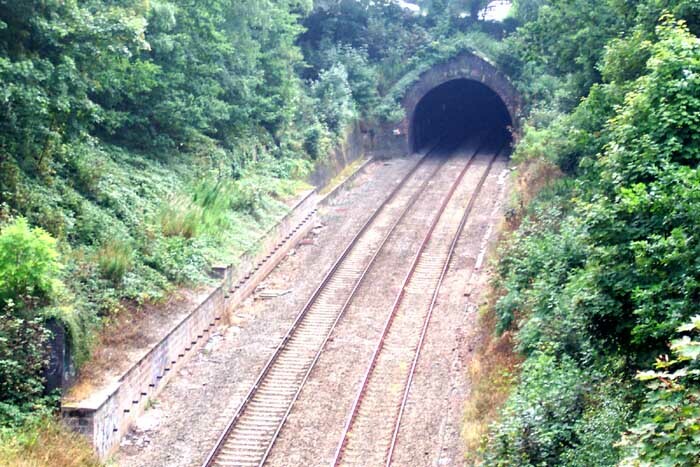 Contrary to popular belief, the walling to the left of the photograph at the rather odd-shaped entrance to Moseley Tunnel is a retainer for the embankment and not actually a remaining relic of the platforms once here. 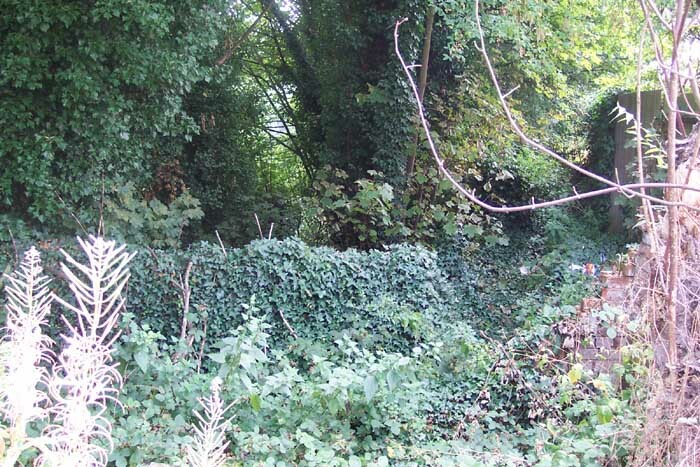 Above right is an overgrown entrance pathway leading down to the platforms from Woodbridge Road overbridge. 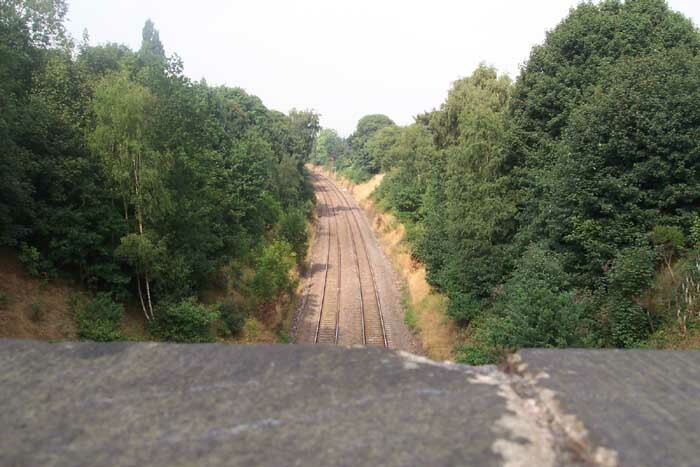 Above is also from Woodbrige Road but this time looking away from the station towards the City Centre. With the density of foliage around the site it is difficult to imagine that Moseley is 10 minutes drive by car from Birmingham city centre.